ASPCA Rescue is a service of the ASPCA or the American Society for the Prevention of Cruelty to Animals, and their mission is to help abused or neglected dogs. The ASPCA organization was founded in April 1866, for the prevention of animal cruelty. The ASPCA rescue group was probably the very first dog or puppy rescue organization ever started. To celebrate their April anniversary, the ASPCA reaches out every April, to educate the public about the prevention of animal cruelty. This little rescue dog may have been abused or neglected. •Neglect – denying basic necessities such as food, water, and shelter. •Animals who cower in fear of their owners. All 50 states have animal cruelty laws and animal cruelty is considered to be a crime. However, there are many ways that a dog or cat can end up in a rescue facility, including the illness of the owner or their inability to care for their pet. •Set a good example. Teach your children how to take care of animals and keep them safe.Take your children to visit an ASPCA Rescue. •Support your local animal shelter or rescue organization. •Adopt an animal who greatly deserves and needs a second chance. 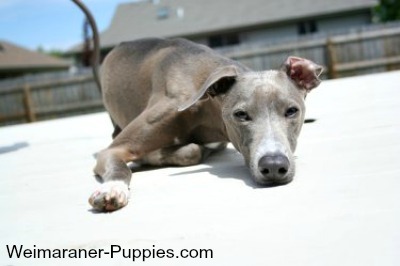 Learn how to adopt a Weimaraner with this free mini course. •Donate money or supplies like food, kitty litter, trash bags and pet beds. 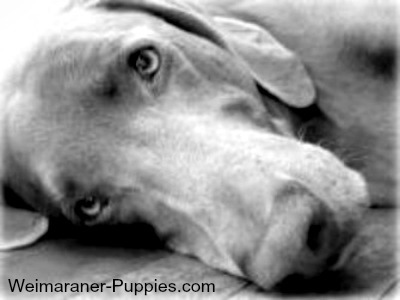 There are many ways that you can help to prevent animal cruelty and support your local ASPCA Rescue or other rescue organization (such as a Weimaraner rescue). Why not get involved?